Higher Education in developing countries like Oman offers several unique circumstances that suggest curriculum delivery using Blended Learning is a rational choice. Research has been conducted to identify the factors affecting blended learning adoption and to determine whether the teaching and learning process is amenable to its adoption at HEIs in Oman. 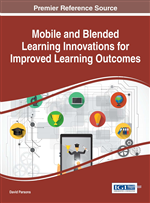 Based on the findings a model, Blended Learning Acceptance Model (BLAM), has been developed. It was inferred from the findings that there is a positive relationship among the demographic factors and behavioral Intention i.e. blended-learning adoption. In addition, the teaching and learning styles also had significant influence on adoption of blended learning. BLAM was primarily intended to be used at HEIs in Oman, but may also be used in other developing countries as a reference for the adoption of blended learning. The introduction of online learning systems has increased access and flexibility in the curriculum, enhancing the communication and the learning experience; however, there are issues with fully online courses in relation to the lack of social contact, choices, and engagement (Singh, 2003; Holley and Oliver, 2010).